Marc Jacobs created the experience of being at LOUIS VUITTON. The collection was shown at the Cour Carrée of the Musée du Louvre. 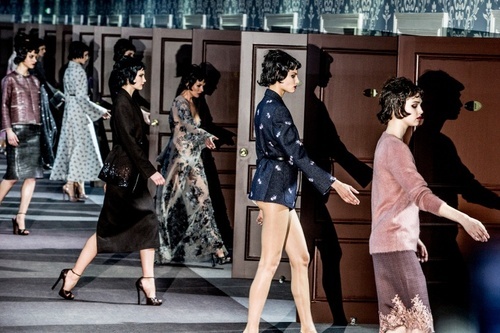 50 doors opened which revealed models in satin and lace slips wrapped around decadent furs. 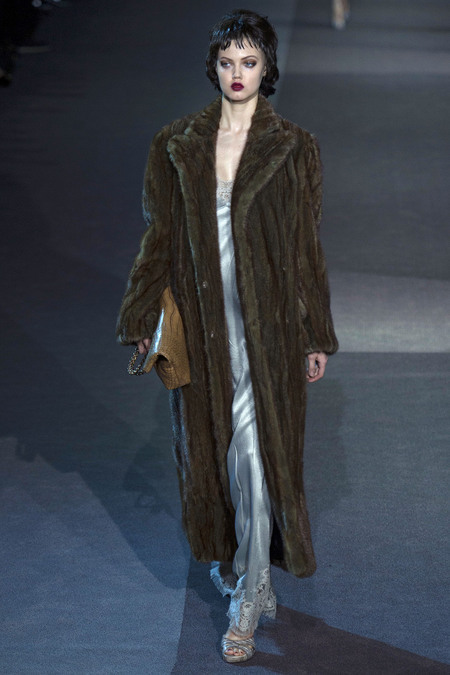 Marc Jacobs shows that you can just wear LOUIS VUITTON pieces day and night.